Tri-Rail Construction Inc. is a full-service builder, performing a comprehensive array of services employing our own talented and experienced staff. We are a leader in construction for clients of all sizes and types, including federal agencies and local companies, public and private organizations, schools and residential projects, and more. We work as a team with each client to produce unique buildings and complexes that meet their needs and set the bar higher in the industry. Tri-Rail clients enjoy cost-effective, state-of-the-art spaces that meet their goals both aesthetically and functionally. We work closely with clients throughout the entire construction process, from conception to completion, including the installation of the latest technologies and acquisition of any necessary licenses or permits. Equipped with extensive experience in materials, strategies, regulations, teamwork, project management and more, we are here to rise to each client's individual challenges. As experienced general contractors, we provide a wide range of services that can encompass nearly any type of project desired to improve the appearance and functionality of your property, including construction, painting, drywall, electric, exterior and more. Whether you are building a new structure or remodeling an existing one, hiring Tri-Rail Construction will ensure quick and efficient completion of your project suited specifically to your needs. We possess the tools, skills and experience necessary to take your project from start to finish with no hassle and effective results that will last for many years. When needed, we also hire subcontractors in select fields to ensure that your project is being completed with the expertise you deserve from a company you can trust, all while remaining within your budget. We organize and facilitate the entire process so that you can simply sit back and enjoy the results. In addition to our general contracting services, we also provide efficient and organized management for construction projects of any size or scope. Led by our highly skilled and experienced team of professionals, our construction management services are completely customized for each project’s individual requirements, and often include budget evaluations, hiring personnel and monitoring and coordinating of daily activities. With many years of experience, we can effectively manage your commercial or residential project and produce successful results while minimizing the hassle and inconvenience of overseeing such a large endeavor. Our clients are often more than satisfied with our management services in helping them achieve their project goals. The rigors of heavy construction can seem like a daunting task at first glance. 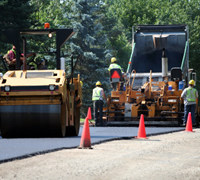 These projects, such as site preparation, road and parking lot construction, material removal and others, require an experienced team of professionals such as Tri-Rail Construction, instead of relying on several different contractors and companies to complete your project. Regardless of the size and scope of your project, our contractors can take the project from concept to completion in a timely and efficient manner. 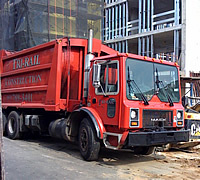 At Tri-Rail Construction, we have unmatched experience in dealing with lifting, excavations, and other jobs requiring heavy construction vehicles. When cranes, compactors, earthmovers or drillers are needed, you can count on Tri-Rail Construction to get the job done right! Our experienced contractors combine aesthetics with functionality and durability for all of our projects, and utilize the most advanced engineering techniques to ensure optimum structural and mechanical foundations. We have several skilled engineers on staff whose top priority is to focus on these technical aspects. We provide engineering services for the development of all buildings and transportation projects, including highways, bridges, pipeline, irrigation, water supplies and more. We strive to provide safe and cost-effective solutions for all clients, and consider all other aspects of your project in order to achieve these results. Before the actual construction of large-scale projects begins, our talented architects at Tri-Rail Construction develop a customized plan that combines elements of design and functionality, allowing clients to envision their final results and ensure that the project is completed specifically to their needs and desires. Our architects take into consideration the budget, time, permits and energy use allotted for each project before developing their design in order to ensure client satisfaction and long-term functional and aesthetic results. Designs begin with preliminary sketches and progress to often include 3D imaging models that clients can view and discuss prior to the start of construction. 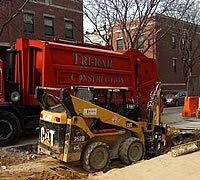 Our Excavation Team at Tri-Rail Construction will work with you and your budget to ensure the job gets done properly and efficiently. The foundation of the building is either concrete or steel pylons that are placed deep within the ground. They penetrate the more sturdy and stable soil or bedrock to support the weight of the building effectively. The calculations and planning necessary to ensure proper support are very important, taking variables such as soil density, winter frost heaving and water erosion into account. Our engineers at Tri-Rail Construction are extensively experienced with this process and will ensure your building has a suitable foundation equipped for all of your needs. At Tri-Rail Construction, we offer complete cost-effective demolition services for a wide range of buildings, industrial facilities and other structures. Our comprehensive demolition services can handle structures of any size by utilizing the latest, state-of-the-art equipment and our many years of experience. 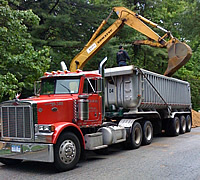 Depending on the size and scope of your project, our demolition services may include full building, structure and foundation removal; partial building removal; or selective interior or exterior demolition. We handle all aspects of the demolition process and walk you through each step, to make this task and simply and hassle-free as possible. In addition to successful demolition of your property, we also take into account all safety, environmental and legal factors to reduce the risk of damages, injuries and other implications in the future. Our contractors are dedicated to meeting your individual needs while keeping you and your employees safe and saving you money as well. At Tri-Rail Construction, we are highly trained and experienced in the application and construction of concrete, and recommend it to many of our clients for its variety of benefits. Affordable and effective, concrete is a staple of nearly every type of property. We can provide driveways, sidewalks, stairs, slabs, curbs, foundations, retaining walls and more that are built to last with the functionality and durability of concrete. Our contractors are also skilled in decorative concrete styling to provide a unique look to your project. All of our concrete projects are designed to fit within each client’s budget without compromising quality. The exterior of a building is its statement to the rest of the outside world. Our expertise in blending both form and function into our projects is one of the reasons our clients choose us to create or remodel the exterior of their property. Our professional masonry services add a touch of elegance and character to your property with a unique stone appearance that is built to age well for long-lasting results. Each exterior/masonry project is completely customized for your individual property to help you achieve the specific appearance you desire. Whether it is creating a visually pleasing walkway from the client parking lot to the building or remodeling the entire exterior of your property, our contractors can help you achieve your goals while staying within your budget. Our carpentry services may involve the construction, installation and repair of a wide range of structures and materials, including cabinets, shelving, tables, closets, decks, workshops and nearly any other project that can help you improve the appearance and functionality of your commercial property. Each piece is carefully crafted to meet your needs, as well as any safety and functional regulations required. We use only the highest quality of materials for your structures to ensure long-lasting results that will enhance your home for many years. Our carpenters at Tri-Rail Construction have many years of experience in the field and can take on any job. Each project is completely customized to ensure that you receive the results you desire for your individual property. We handle each project from start to finish with the highest level of professionalism and skill, while still remaining within your budget. Tri-Rail Construction, serving Long Island and the surrounding area. Copyright© 2008 Tri-Rail Construction and Digital Mindscapes, Inc. All Rights Reserved.